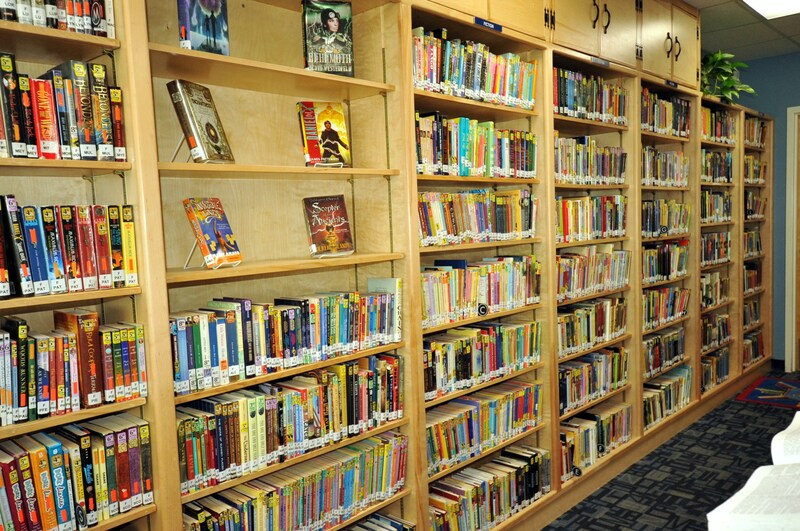 The Saint Paschal Baylon School (SPBS) Library is open every school day until 4:30pm: and as its motto on the inside front wall states, it is "the heart of our school". 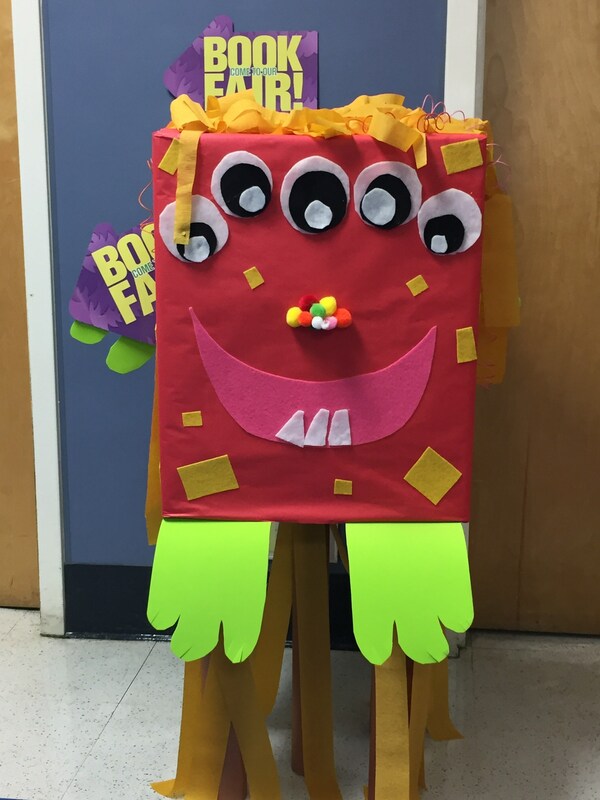 Our SPBS Library is staffed Monday through Friday during the school year by a full-time Librarian, and numerous parent volunteers. 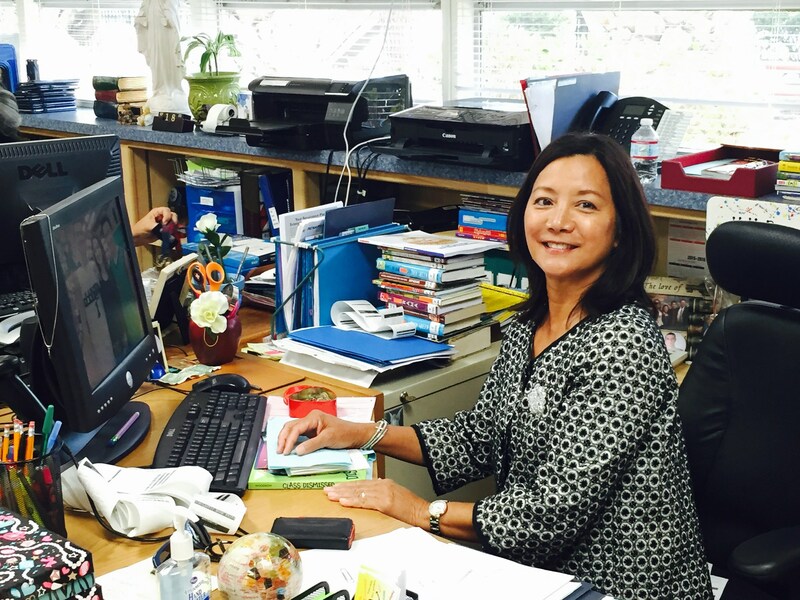 The SPBS Librarian coordinates our school wide software-based Reading Renaissance program, also known as "Accelerated Reader". 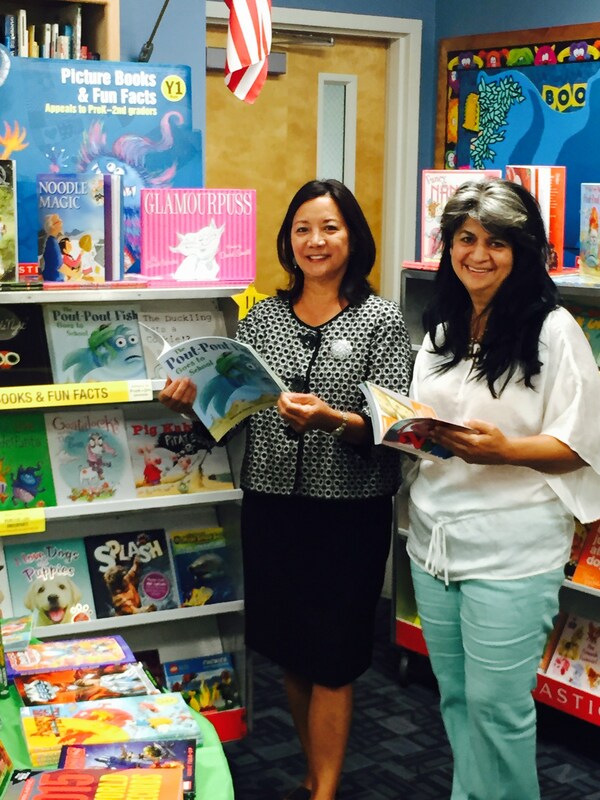 This is a unique reading enrichment program individualized for each student. 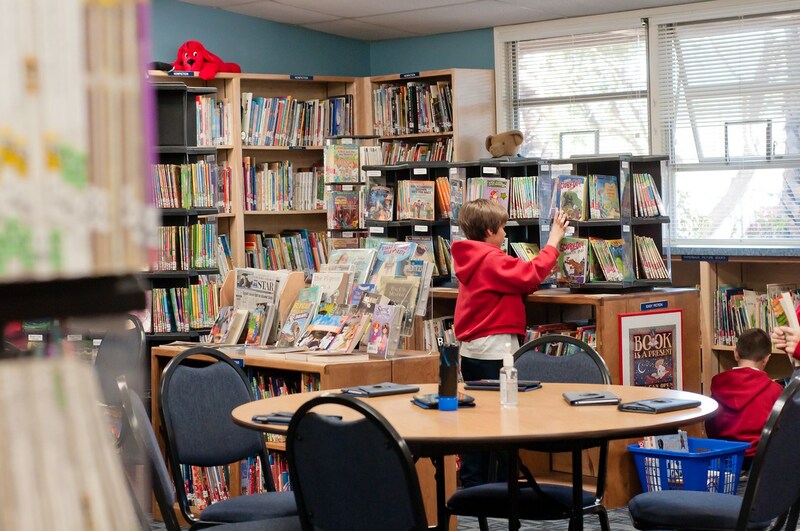 This enrichment program helps promote higher level critical thinking skills, reading comprehension, increased upper level vocabulary, and greater proficiency/enjoyment in reading for our students. 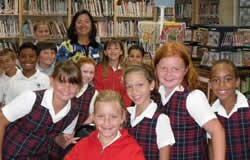 SPBS students in Grades K-4 attend Library Science classes each week. 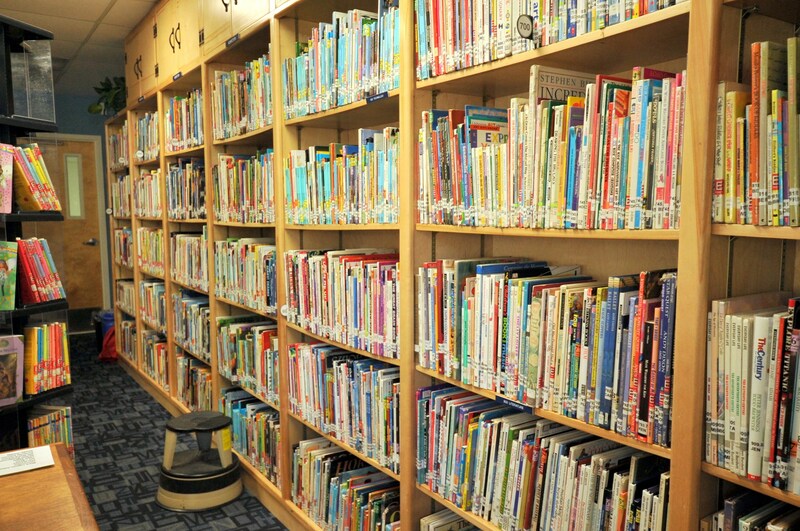 In addition, students in all Grades K-8 may check out any of our Library's over 10,000 books through our automated check-out system. 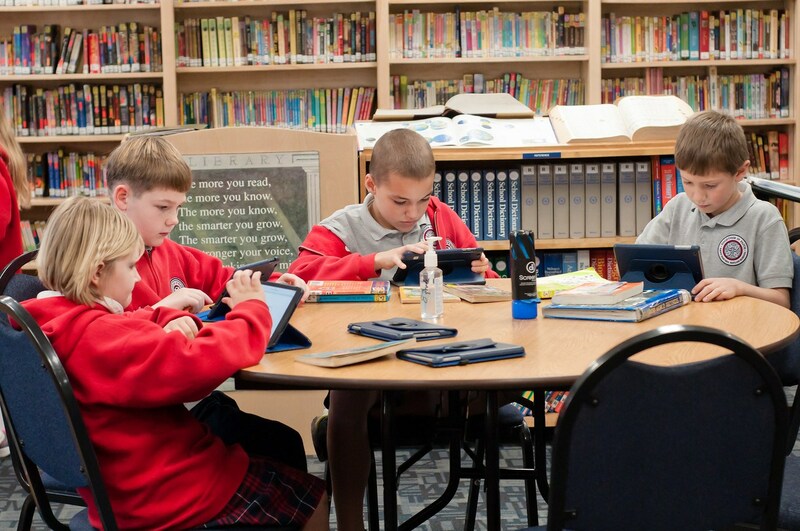 Our beautiful school library was renovated during the summer of 2013, and now features eight dedicated student-use iPads for Renaissance Reading quizzes, as well as a fully stocked reference section. 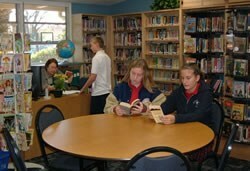 Supervised Study Hall is provided in the Library Monday through Friday after school, for students signed-into Extended Care and able to work independently, and Student Council holds weekly meetings before school in the Library. 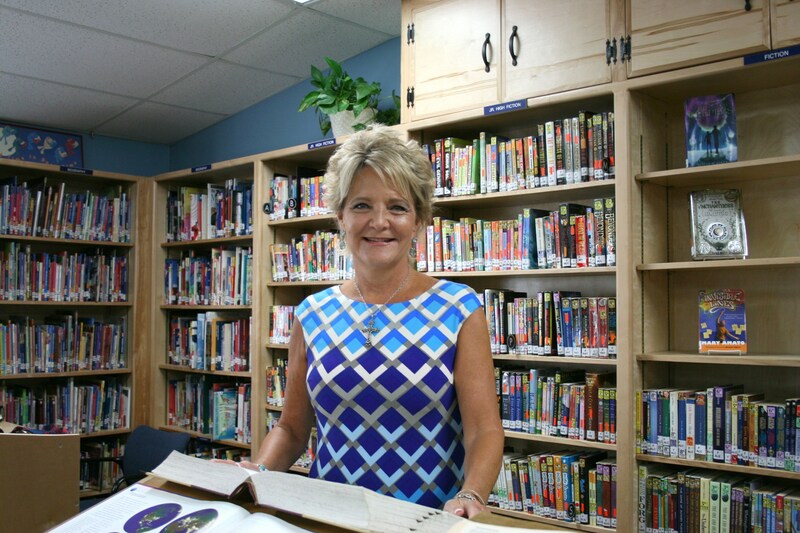 The SPBS library was recently re-dedicated and named "Mrs. Howard's Library" in memory of Mrs. Donna Howard, our beloved Librarian who served our school community at SPBS for 16 years (1997-2013). 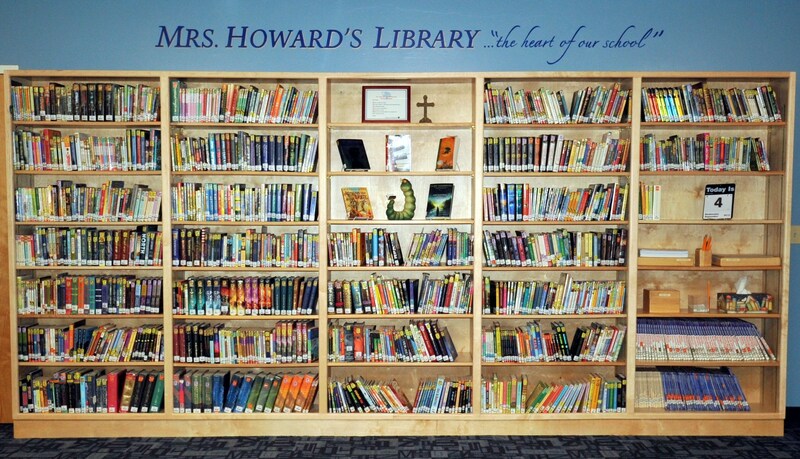 During those years, Mrs. Howard worked tirelessly to instill a love of reading in our students, and made our Library "the heart of our school". 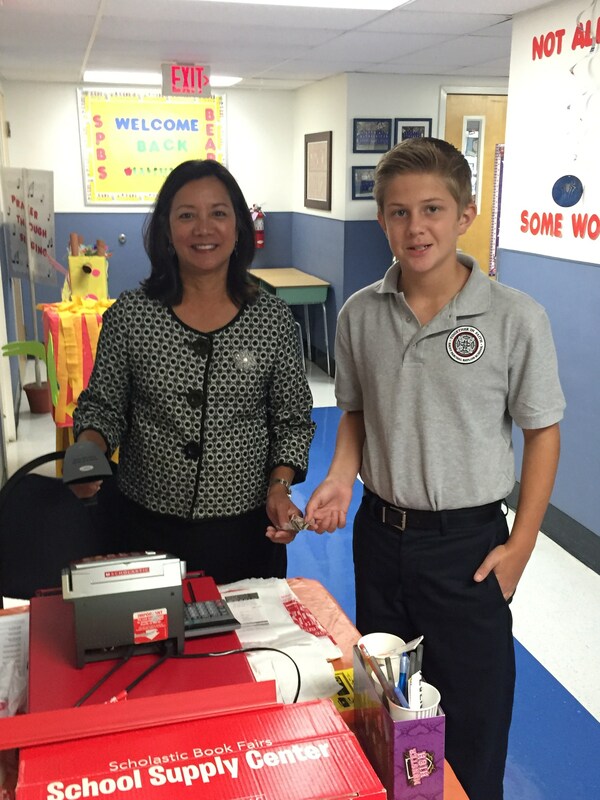 We are blessed to continue to have such a fantastic resource for our students here at SPBS. 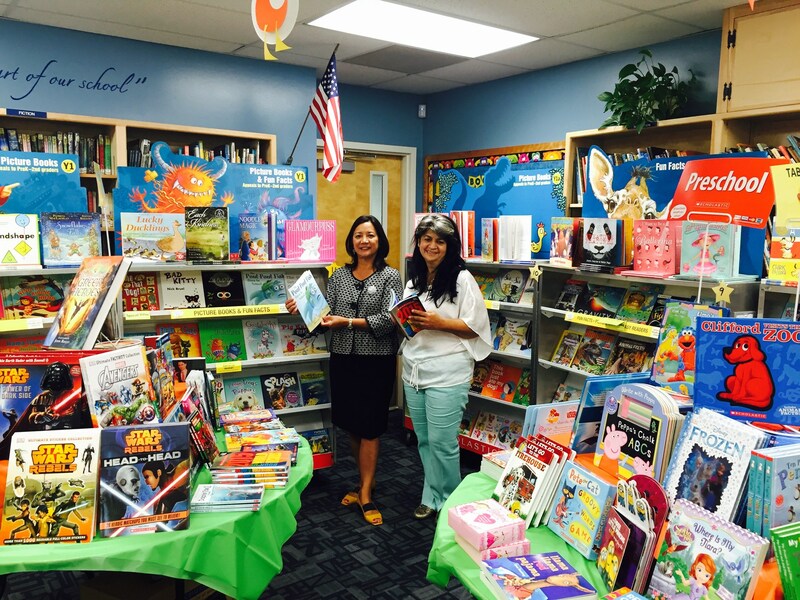 Twice each year, in the fall and spring, "Mrs. Howard's Library" sponsors Scholastic Book Fairs. 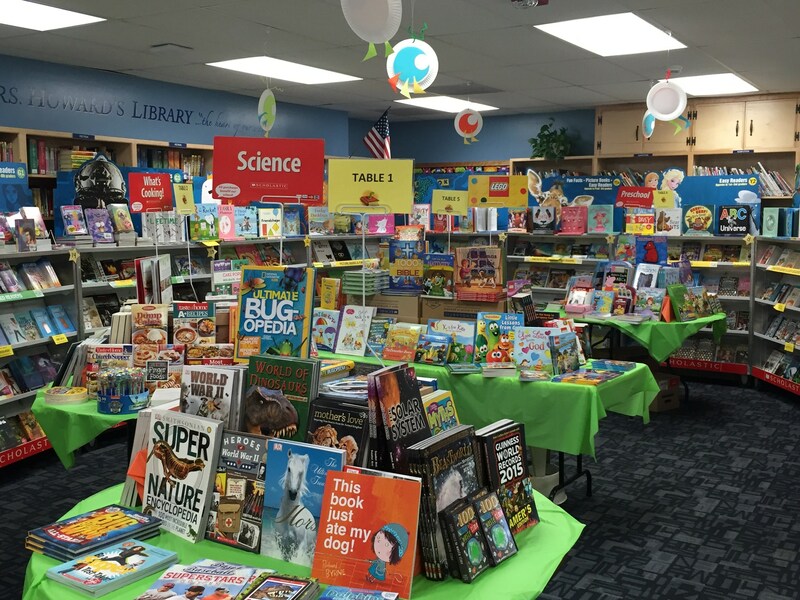 All proceeds from these two annual Book Fairs are used to purchase new library inventory, classroom books, and help defray SPBS Library program costs. 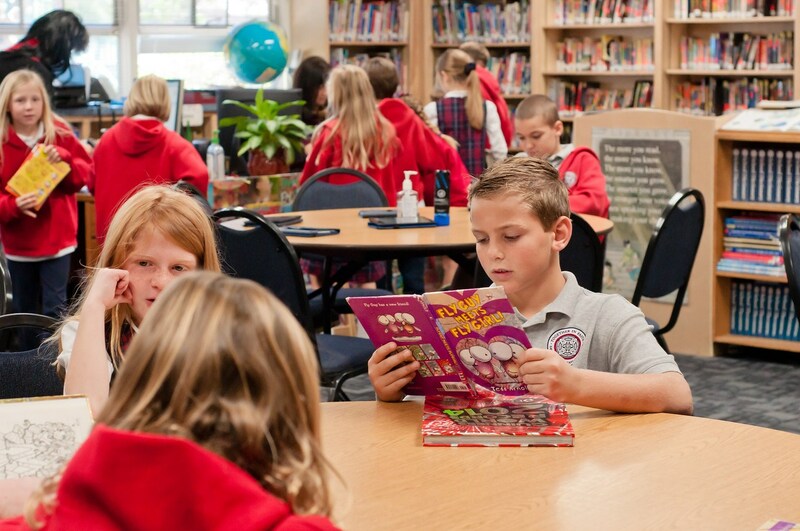 The Reading Renaissance program is customized for each individual student at SPBS. At the beginning of the school year, students take a baseline digital reading test (the STAR test). 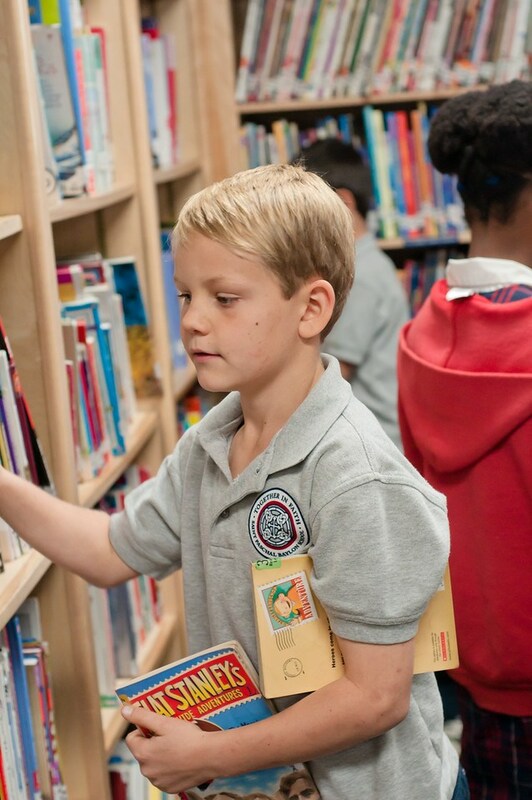 This test provides an individual “reading level” for each student, which becomes the starting point for their personal reading goals for that particular school year. 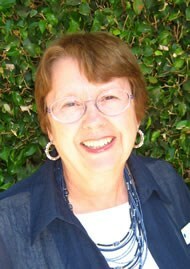 Students then use computer-generated quizzes, to assess their comprehension of the specific books they have chosen to read. The results from frequent digital assessments/quizzes are available on line to parents, via each student’s assigned access password. This data also helps teachers, students and parents assess and monitor progress throughout the academic year. 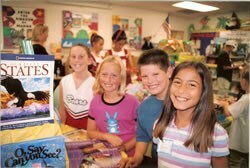 Students receive certificates and are honored on a bulletin board in the Library, whenever individual "reading goals" are met. 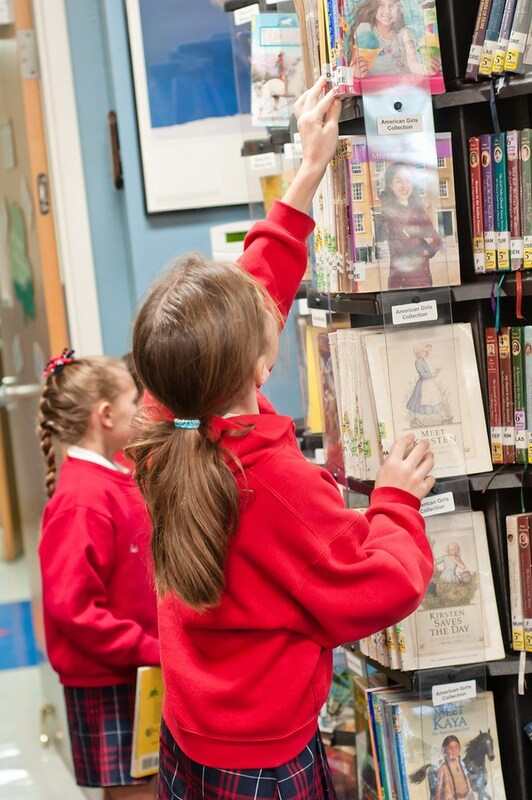 The Reading Renaissance (“Accelerated Reader”) program allows each student to read for enjoyment at their own individual level, progress to new levels at their own pace, and even assess their own progress!